It has always been one of my missions to make it possible for layman on the streets to play the big boys' game. Hence today, we made it possible for Malaysians to purchase silver bullions from our platform - says Jonathan. We use money from the day we are born till the day we die, yet we learn nothing about it in our 20+ years in school. Have you ever wondered why? 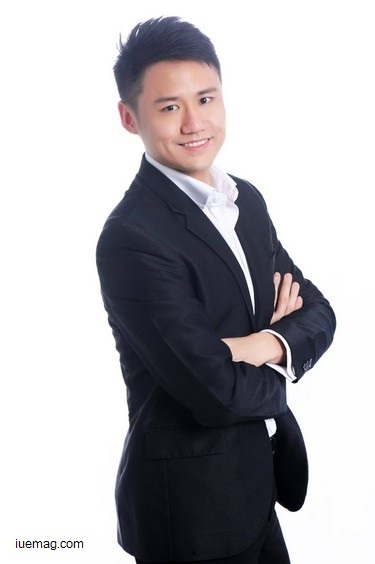 Dreams to become a successful investor and entrepreneur were dreamt by Jonathan Quek while studying IT at University. Right after his graduation in Bachelor of Computer Science, Jonathan left Malaysia to join the financial industry in Singapore. He was in HSBC Insurance first as a financial planner and then in IPPFA as a financial consultant. In both the jobs, the role he was offered was to establish his clients’ needs and goals and develop a financial plan through specific recommendations of financial products. During the 2008 financial crisis, Jonathan witnessed many people losing their wealth overnight. “It was truly a defining moment for most people including myself. One day, I met a really wealthy client who said to me, ‘During a crisis, wealth is never lost; it is merely transferred from one asset class to another.’ That totally blew my mind and I began to shift my entire mind-set about money,” he says. He started to research on ways that could benefit and that’s when he stumbled upon the world of gold and silver investing. As silver bullions weren’t available in Malaysia, SilverMalaysia.com’s online store was set up to provide real silver bullions at affordable prices. It was created because Jonathan Quek was initially exposed to silver as an investor. “It has always been one of my missions to make it possible for layman on the streets to play the big boys’ game. Hence today, we made it possible for Malaysians to purchase silver bullions from our platform,” says Jonathan who has had an amazing journey over the years as a financial speaker. At an age of 26, he was the youngest person ever to be invited by the Central Bank of Malaysia to help them launch a financial program. Mr. Quek has spoken to thousands of people across Malaysia, Singapore, Cambodia, Vietnam, and Korea where he aspires to help people like himself through prudent investing strategies and proper financial planning. Over the years, he has had the honor to share stage with superstars such as Richard Duncan, Robert Allen, Chris Gardner, Mary Buffett and many more. “Financial education is a subject that I hold closely to my heart because I believe that the biggest crisis that the world is facing today is not economic crisis but the lack of proper education. Yes, we are facing an education crisis!! Most traditional schools are teaching subjects that are not relevant to the real world. In order for us to get out of the financial mess that the world is in, we need to change the education system and incorporate financial education in schools,” he explains. “I guess we made it to the best-selling list simply because we were focused on translating boring and complex financial languages into simple and fun-filled financial education programs. Being a self-learner at first, I had a hard time understanding a lot of financial jargons. It was then that I told myself that one day I’m going to bring out such books,” mentions Quek, to his book being translated into 3 languages. Ever since he discovered his passion for financial education, he started studying different teaching methods and how different people learn. The more he studied, the more his love for education in financial intelligence grew. The books, ‘Keep Investment Simple & Stupid’ and ‘5 Elements of successful Investors’ which are co-authored by Jonathan with Benny Lee and Xeo Lye respectively have made it possible for anyone who has no financial background to understand how the investment world works. “One need not be a rocket scientist to be a successful investor or trader,” says Jonathan. On a casual conversation with his interns, the idea that emerged out about bringing financial education for all regardless of gender, age, financial capability, level of education and profession turned reality with the establishment of Financial Youth Intelligence (FYI) in the year 2013. Since then, FYI began touring universities throughout Malaysia with the mission of helping youth in building their life skills in the area of financial intelligence, personal excellence and entrepreneurship while making sure that its programs are engaging and relevant to the real world. By 2014, FYI garnered thousands of followers who were benefited from its programs such as “Invest like an Idiot & Trade like a Pro” Investment Workshop, FYI Conference, Success Mastery Getaway, KISS Value Investing Workshop and KISS Stock Trading Workshop. “Today, FYI continues to deliver its philosophy ‘I hate studying but I love learning’ and we pride ourselves to be the largest financial education platform community in Malaysia,” confides Quek. Most recently, FYI has partnered with Capital Gains Group to promote Wongamania, a modern economic card game that teaches players how to accumulate wealth using stocks, bonds and properties through economic boom and gloom. By the end of the year 2015, they will be launching a national competition among the top universities in Malaysia. Jonathan’s plans for 2015 include assembling his superstar team of young trainers with the mission of “Youth Empowering Youths” and with the evolving technology world, they are also in midst of creating web based and app-based financial education programs to serve more people in the Asian region. Any facts, figures or references stated here are made by the author & don't reflect the endorsement of iU at all times unless otherwise drafted by official staff at iU. This article was first published here on 27th May 2015.